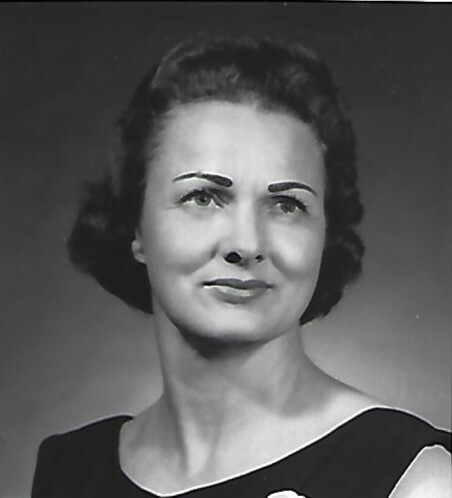 Odena “June” (Ware) Richard was born in Nebraska to Charles F. and Hattie (Osborn) Ware on May 26, 1926. She was the baby sister to Mildred, Vernon, Fern, and Charles. The family left Nebraska headed to Arizona by covered wagon. This move was needed as her father was ailing. The family made it as far as Beaver County, Oklahoma before having to homestead. June was working at the Beaver County Memorial Hospital as a nurse’s aide. Dalton Richards caught her eye while he was visiting his father there. She caught his attention also. After a short courtship they were married. June didn’t finish high school until after marriage and moving to Laverne. She decided to enroll in Laverne High School to gain her high school diploma. She graduated with the Class of 1953, being 10 years older than most of her classmates. She later would go to work at Western State Hospital in Fort Supply, Oklahoma. She retired from there with over 20 years of service. June Richards left this life at the Shattuck Nursing Home after a very short stay on September 12, 2018. She was preceded in death by her parents, husband, and siblings. She is survived by her nieces, nephews, cousins, and friends.